Walking through the door of Dowlais ABC the instructions can be heard loud and clear as soon as I step over the threshold, the gym which is now kitted out in the latest of equipment is far removed from the one in which I visited as a young man. I take a few more steps as two men trade shots in the centre of the ring as Dean Lackman puts amateur star Jamie Evans through his paces. Sunday morning where most are nursing hangovers from the night before gives no let up for the Dowlais gym, instead it provides me with a familiar sight, no sleeping on the job here as one of Wales’ brightest trainers Sean Jones gives his take from outside the ring, waiting his turn to step through the ropes in an effort to give Evan’s a different style to conquer. It is refreshing to see a trainer so hands on in regards to putting his pupil through the rigorous training regime, but as I look on Dean who is now taking a breather in-between rounds tells me of his thoughts on Jamie as well as his long time friend (Sean) as I ask about the man in charge and his taking of such an active roll in his fighters development to which he adds “Sean wouldn’t ask any of us to do anything he wasn’t prepared to do himself” I look on, camera in hand, impressed by the sharpness and accuracy from the Welsh champion as he moves effortlessly through the gears against a taller / heavier type of opposition, sparring which is invaluable at this point in camp. Who is Jamie Evans and What is his Interests…. My brother who be my biggest Influence, when he was an amateur he very rarely was beaten but when he was to lose he took it, he wasn’t a bad loser or anything and was straight back in the gym the day after. He turned pro and was brilliant and everyone thought he would go far but unfortunately he had a problem with his eye so they took his licence off him. After that I thought that he wouldn’t come back to the gym but he didn’t let that get him down and ever since he has been in the gym helping the boys prepare for fight etc, we spar together and to be honest they are harder than the fights I have. Brilliant Gym, we have everything we could want up here but what makes it better is the training that I get, Sean (trainer) and my brother (Ryan) are both incredibly fit so they wont ask you do to something that they cant do themselves, we have a good camaraderie up here also with the likes of Dean (Lackman) and Scott (Murphy) we are all really good friends. > Ones to Watch from the Dowlais Gym…. Cameron Rosser is a good kid with great skill but the only thing going against him is that he is light for the weight which becomes hard to match up, he did have an exhibition a couple of days ago against a fighter with around fourteen fights which he held his own against, we also got a young kid called Lewis who unfortunately lost his fight the same night that Cameron fought, but in the future he could be a threat because he can bang. > What does a typical training day involve…. > Reason for pulling out of the Commonwealth Games…. The reason was that I was only on a temp contract in work and while I was in squad training they were saying that I had to go to Canada for two weeks, then go with the GB team for a couple of days and with work and family commitments especially with a young baby at home, I just couldn’t attend. Immediately it would be to win the championship again, I was going to turn pro last year after winning but due to work commitments and my home life I found it hard to juggle everything, but I’m enjoying what I am doing now and in a year or so I may look at the professionals again. > Expectations from this Years Championship…. I would also like to Thank Sean and my Brother who without them I wouldn’t be in the shape I am, I know I can pick up the phone anytime and if they aren’t in work they will be there for me to come up the gym so I would also like to Thank them. > Proudest Moment / Moments…. > Fighters to look out for…..
> How Good is Jamie / How Good can he Become…. Very Good, he is very elusive, you would be surprised how many people have said after a fight how hard he is to actually hit, I honestly believe if he was to fight for the British he would have a very good chance, I think he is up there with the likes of Anthony Fowler in my honest opinion. I would like to say Thanks to all the boys that continue to come back to the gym every year and also to the people who provide the grants that is essential to keep the gym up and running with good equipment. 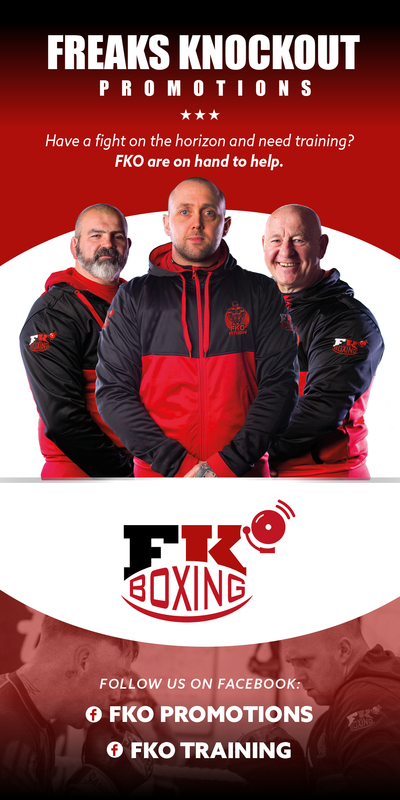 Leaving, it is clear to me that the gym is in very good hands with Sean Jones at the helm, a man that continues to churn out talented fighters with every passing year from the likes of Jamie Evans, his brother Ryan and the aforementioned Scott Murphy all under his watchful eye from his gym in Dowlais. My best wishes go out to Jamie, a down to earth, grounded individual with a work ethic that is second to none. I will continue to support the gym as I will Jamie in a career which I am sure will bring more Silverware and much success.